Our Search Engine Marketing services will increase visitors to your website and create a stronger web presence. So you've got a great-looking, professional website…but nobody knows about it. Even the nicest site in the world doesn't mean much if people can't find it. The traditional methods still work – direct mail, printed materials, print ads, and personal networking, but it makes sense to also leverage the internet. Search Engine Marketing essentially refers to all online efforts to help your site be found online, thereby increasing visits to your website. How is this accomplished? Through Search Engine Optimization, Pay-Per-Click Campaigns, Public Relations, and Social Media. Search Engine Optimization (SEO) is a broad term that is very widely used, which refers to optimizing your site for maximum search engine effectiveness, and also getting links and other attention to your website. See what some of our clients have said about our SEO services. Search Engine Optimization (SEO) is a time-intensive, detailed process which involves writing and adding content to your website on a regular basis, making sure all the code in the back-end adheres to what Google, Bing, and other search engines require, and also getting links to your website from other sites. We will submit your site correctly to Google and Bing, and also register it to their local listings and maps. We will also install Google Analytics so that we can properly track visits and all relevant statistics. This will be an excellent reporting tool as we move forward. Content. First, we analyze your website and look at its overall structure and existing content. With your guidance, we will come up with key words you'd like to target, and then we will create a strategy which includes content editing and writing. Content is king when it comes to the search engines, so we will add content on an ongoing basis, and we will add a blog to your website if needed. The links on your website are another important factor. Is your site organized in such a way that it's easy to navigate from one page to the next, or are visitors sometimes getting lost in a maze they can't get out of? We will carefully evaluate your links and make the appropriate changes. Everything we do is focused on human visitors rather than search engines, but the end result will be an improvement in content for real visitors, and also in search engine rankings. We don't spam your pages or do anything unethical. Code. It's very important to make sure that all of your web pages have the necessary code that the search engines are looking for. Moreover, the code needs to be written in a way that is keyword rich and appropriate for each page. Our experts will take the time to look at every single page of your site, and make sure that the code is written correctly and in a way which will give you the best search engine improvement. Link Building. It's critical to have quality links outside your website pointing to yours. 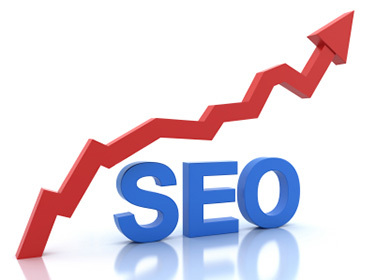 The emphasis here is quality, and we take the time to attain links on other sites which over time will increase visitors and help your search engine rankings. We focus on generating genuine buzz and PR, which is not only good for SEO, but is part of a sound marketing strategy. It is important to keep in mind that search engine optimization is something that takes time, and you should have a long-term strategy for seeing tangible results. We have a proven track record of obtaining top-page search engine rankings and increased website visits for many clients. Many businesses can benefit from Google AdWords, also known as pay-per-click marketing. With AdWords, you will show up on Google right away, unlike organic SEO which takes time. We can create and manage your AdWords campaign which includes finding the appropriate key words, creating ads, and managing your budget and ad schedule. Contact us for more information.